Can you manage without electricity and running water? Recharge your batteries in the pine forests. 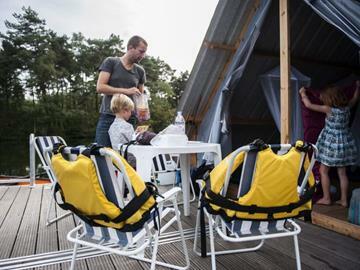 Float around on a raft, on a lake in the middle of the unspoiled Provinciaal Recreatiedomein Zilvermeer. Eat and sleep on the raft. Would you like to find the ideal way to explore the Kempen by bike on a limited budget? Then plan yourself a route from one camping hut to the next. 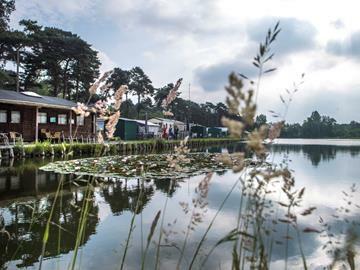 There are camping huts on fourteen Kempen camp sites. A camping hut is a cosy, pleasant and functional form of accommodation, besides being great value. 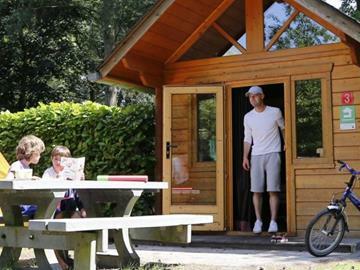 The Zilvermeer has five camping huts, each 15 m². 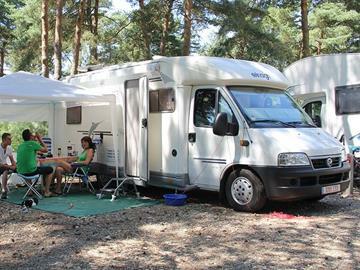 Visitors arriving in a camper van are more than welcome in our town. Recreational area the Zilvermeer has a camp site where you can park your mobile home for a while. The recreational area is the ideal base to enjoy the beauty of our town.